Weekday suppers that taste great, but don't need a lot of time or work to prepare are so important. 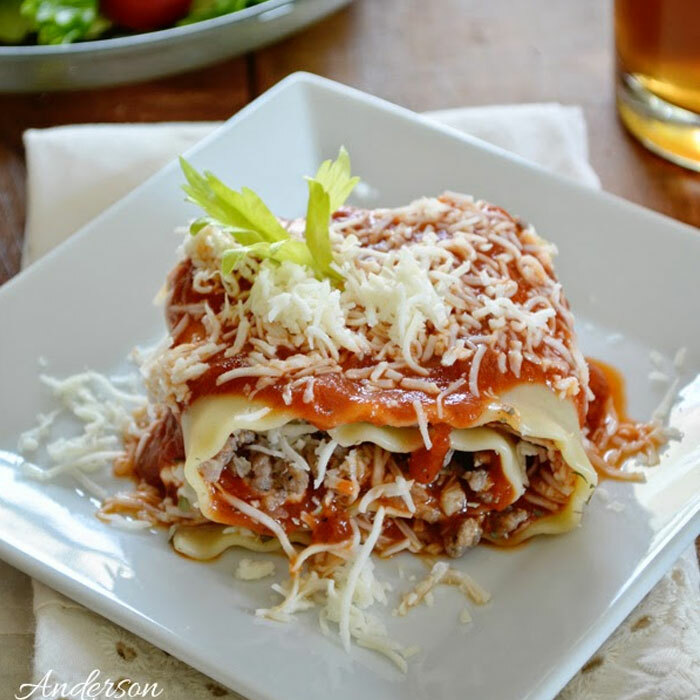 These lasagna rolls are one of those must have recipes for dinner, and I think you'll love them as much as I do. 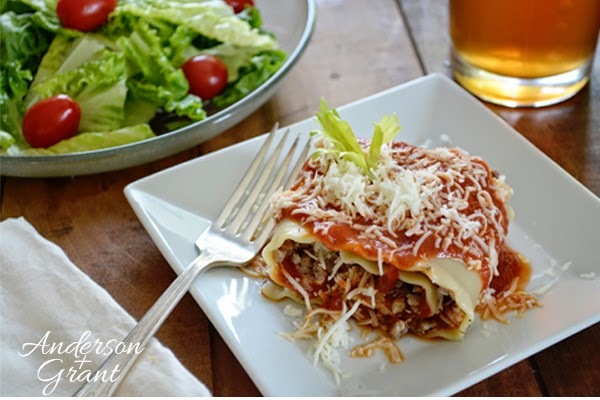 The recipe is much easier to make than a whole pan of lasagna. They can even be prepared the night before, and all you'll need is a quick 15 minutes in the oven to heat everything before serving. While I'm including amounts for the ingredients, it is really a general idea. 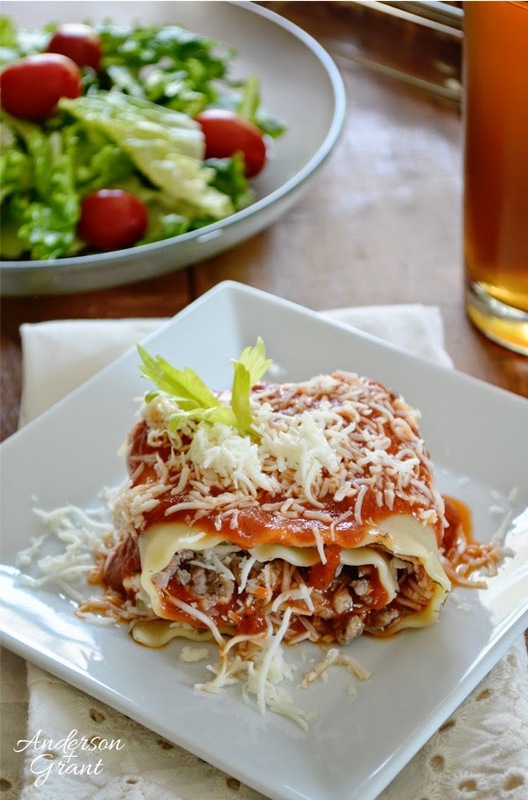 You can make as many or as few of the lasagna rolls as you want, adjusting the ingredients according to your preferences. The recipe I'm posting will make six rolls. Begin by chopping up the onion and add it to the ground beef in a pan. Cook the mixture until the meat is browned. Drain the grease off of the meat. While that is cooking, bring a pan of salted water to a boil. Add the lasagna noodles and boil for 10 minutes or until the lasagna noodles are soft. Drain. 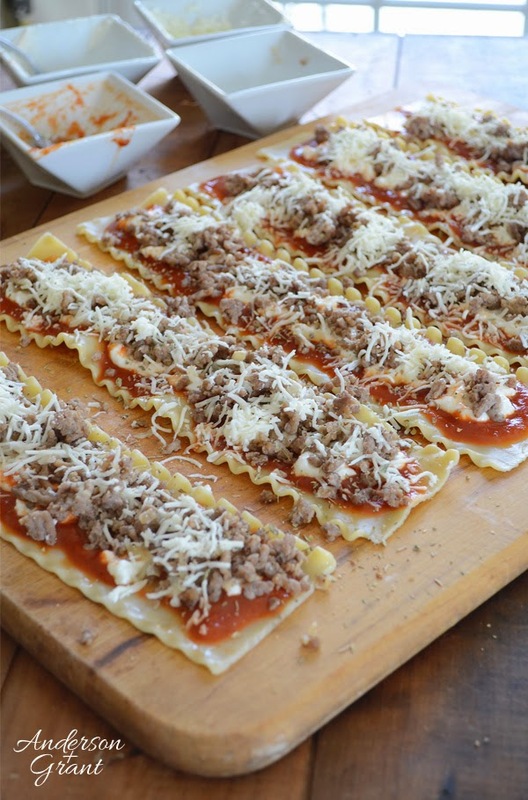 Lay the strips of lasagna out flat. I prefer to do this on a large cutting board for easy clean up. You could also lay them out on a piece of parchment paper. 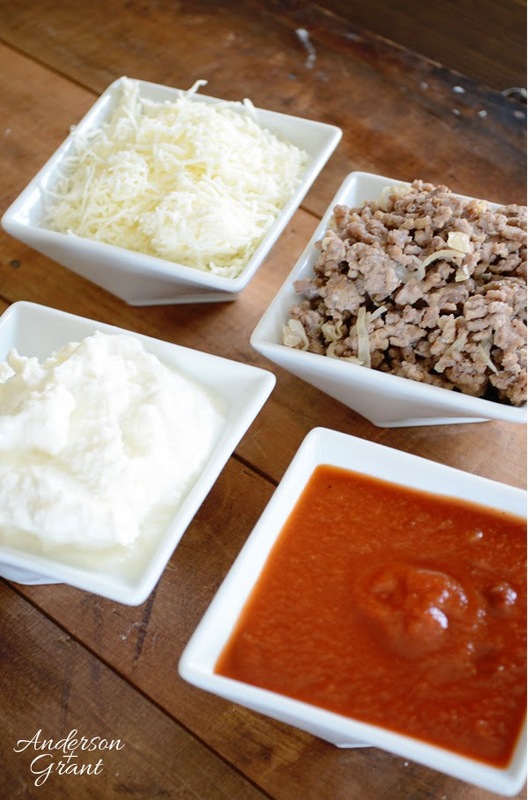 Spread each noodle with a layer of spaghetti sauce, ricotta cheese, ground beef, and mozzarella cheese. Sprinkle a little dried oregano over everything. 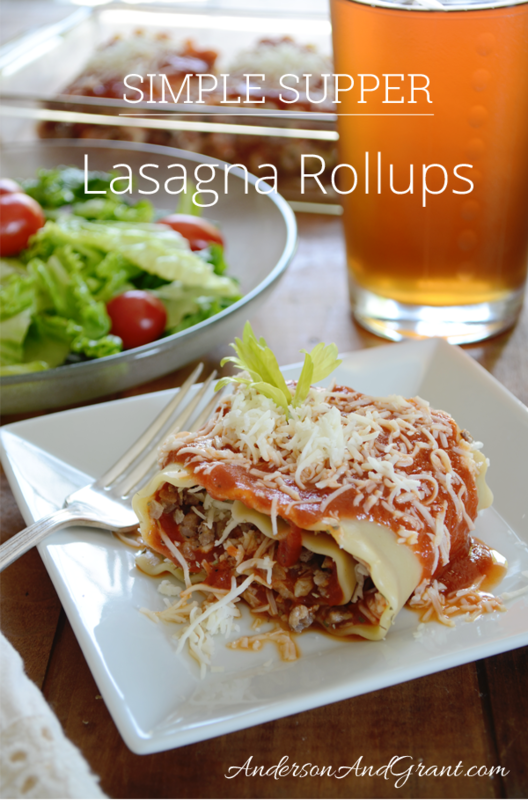 Carefully roll each lasagna noodle up and place in a baking dish seam side down. 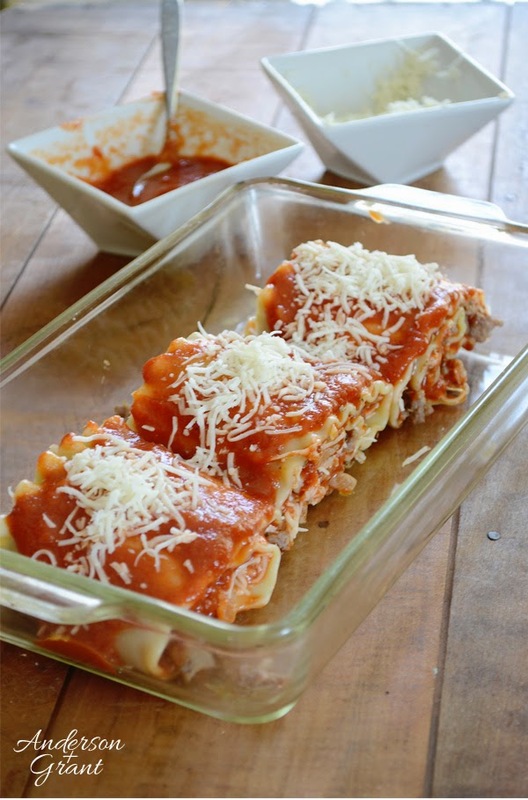 Top each lasagna roll with more sauce to cover the outside of the noodle, as well as a sprinkle of more mozzarella cheese to melt over the top. Bake in a preheated 350 degree oven for about 15 minutes, or until hot. All of the ingredients are already cooked, so the dish just needs to be heated through and the cheese melted. Throw together a salad (and maybe some garlic bread...yum) and you've got a complete, delicious dinner in about a half hour! So what do you think....do you think you'll be trying this recipe for supper?